Veterans Day is a great reminder of the positive qualities and attributes veterans can bring to an organization as valuable employees. Beyond their experience, expertise, leadership and strong work ethic, veterans also bring creativity, dedication and resilience. In order to protect veterans, it is essential for an employer to develop, implement and enforce strong Equal Employment Opportunity (EEO) policies. These policies should protect those individuals currently serving in the military, as well as those who have previously served, from discrimination, harassment and retaliation. Under the Uniformed Services Employment and Reemployment Rights Act (USERRA), an employer is prohibited from discriminating against individuals based on their military obligations. The law also requires employers to provide job protection and reinstatement rights to employees if they leave civilian jobs, voluntarily or involuntarily, to serve in the uniformed services, the reserve forces or a state National Guard. Similarly, various state and local laws also make veteran and military status a protected class and mirror USERRA’s requirements that an employer must make reasonable efforts to assist veterans in returning to employment. An employer should maintain strong policies prohibiting disability discrimination as many veterans suffer from not only physical injuries and medical conditions including burns and loss of limbs, but also mental health conditions such as Post-traumatic stress disorder (PTSD), traumatic brain injuries and depression. If an employer must take adverse action against a veteran, it should have a legitimate business reason for doing so and make sure to maintain a contemporaneous record. An employer should also take affirmative steps to minimize acts of hostility and harassment against veterans by curtailing heated workplace discussions regarding politics and the military that may escalate into a hostile work environment situation. It is important for an employer to provide veterans and those in the military with leave rights granted under USERRA and similar state and local laws requiring employers to provide leave and time off to veterans and potentially their family members. An employer should also recognize that the federal Family and Medical Leave Act contains family military leave provisions. Additionally, certain state laws provide veterans with time off for Veterans Day. In fact, recent changes have been made to leave laws affecting veterans in states such as Arizona, California, Illinois, Kentucky, Massachusetts, Mississippi, Wisconsin and Virginia. Supervisors should know how to handle any and all leave requests and engage in meaningful conversations regarding the time off a veteran or his or her spouse may need for military service, to address medical issues or seek treatment. Further, an employer should make sure to track requests for leave and time off and maintain comprehensive records. If for any reason, a leave request is denied, the employer should be sure to keep a record of this. Veterans who suffer from disabilities may be protected by federal, state and local laws. An employer should make sure that veterans who suffer from disabilities are provided with reasonable accommodations if the individual is able to perform the essential function of the job and it would not create an undue hardship for the employer. • Leave for medical treatment or recuperation. An employer should make sure to train supervisors on how to handle a request for accommodations and to engage in the interactive process and a good faith discussion with an employee regarding the requested accommodation. • The composition and structure of the employer’s workforce. Any determination regarding a requested accommodation and whether it creates an undue hardship should be made on a case-by-case basis considering all facts and circumstances. An employer may request medical records documenting the need for an accommodation. 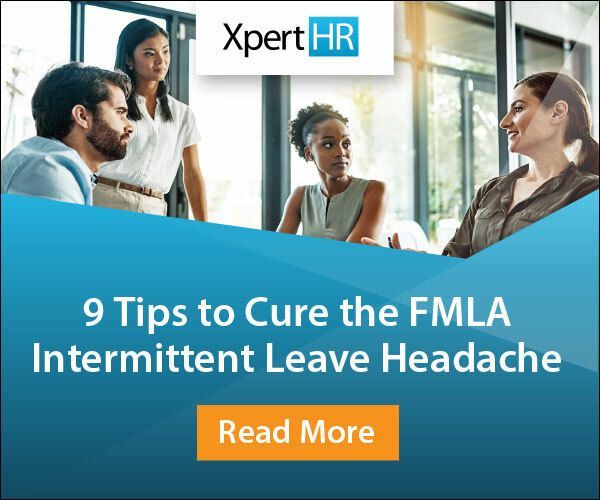 Further, be mindful that the US Equal Employment Opportunity Commission (EEOC) warns against maintaining policies that an employee must be at 100% capability to return to work because this may fail to consider an employee’s ability to perform the essential function of the job with a reasonable accommodation. An employer should be proactive when it comes to hiring veterans as veterans can bring unique skills and experience into the workplace. An employer should consider targeted hiring and outreach to veterans’ organizations. Moreover, an employer should be aware of the veterans preference laws that allow an employer to provide otherwise qualified veterans, and at times their spouses, with preferential hiring and sometimes preferences with regard to promotions and reductions in force. Such laws specifically state that implementing a policy preferring veterans does not violate state or local equal employment opportunity laws. An employer should be sure to consult state law when it comes to veteran’s preference policies. An employer should also be aware that the Vietnam Era Veterans Readjustment Assistance Act (VEVRAA) requires certain federal contractors and subcontractors to take affirmative actions to hire and promote veterans. An employer subject to this law must report hiring efforts and establish affirmative action plans addressing veteran employment and providing priority to covered and eligible veterans. 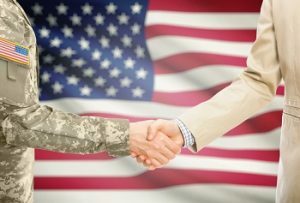 An employer may want to consider creating an onboarding program specifically geared toward veterans and helping them navigate a civilian organization. The structure of a corporation is often very different from the structure of the military, and veterans may need additional support. Veterans should be introduced to an organization’s policies and procedures as well as cultural norms, values, communication styles and work expectations. Additionally, an employer should make sure to educate managers and supervisors on military culture and how to interact with, communicate with and manage veterans and members of the military. In order to make sure that all veteran and military employees feel part of the organization and to further diversity and inclusion efforts, an employer should consider initiating employee resource groups for veterans. This will show that the employer actively supports veterans and wants to provide them with mentoring and networking opportunities. It will also provide veterans with a shared community in which they can share stories and increase camaraderie and share any issues that they experience. Employee resources groups can help veterans connect, form meaningful relationships and may ultimately increase retention. How does your organization provide support for veterans or military service members? Share your thoughts by leaving a comment below.